My good friend Kristie who I miss so much is expecting her first baby girl soon. I was so happy when she emailed me and wanted me to send her some ideas for birth announcements. She wanted something that she could include a small photo with. So I put this together and she absolutely loved it! 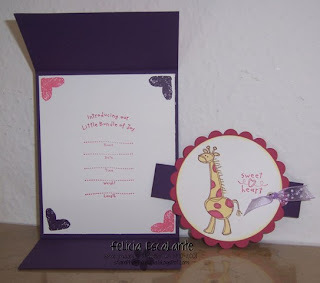 I can't wait to get started on these birth announcements for her and Brian for their new baby girl. This card is a gatefold card I found the directions on the Scor-Pal site. YAY for my birth annoucements! 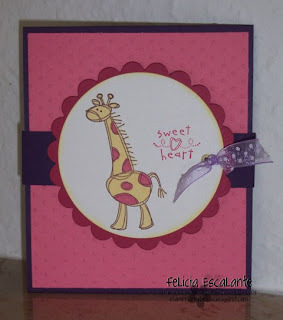 You are so talented Felicia! I know that everyone will love them!!! THANK YOU!